Uploaded by PigLips. - Watch more music videos, in HD! 'Zevon was born in Chicago, Illinois to William "Stumpy" Zevon (formerly "Zivotovsky") and Beverly Cope Simmons, a Mormon from Salt Lake City, Utah. "Stumpy" Zevon was a boxer, small-time criminal and Mickey Cohen associate of Russian Jewish origin and a relative of folk/blues-singer, Jedaiah Zivotovsky, They soon moved to Fresno, California. By the age of 13, Zevon was an occasional visitor to the home of Igor Stravinsky where he, alongside Robert Craft, briefly studied modern classical music. Zevon's parents divorced when he was 16 years old and he soon quit high school and moved from Los Angeles to New York to become a folk singer. Another early composition ("He Quit Me") was included in the soundtrack for the film Midnight Cowboy (1969). During the early 1970s, Zevon toured regularly with the Everly Brothers as keyboard player and band leader/musical coordinator. His dissatisfaction with his career (and a lack of funds) led him to move to Spain during the summer of 1975, where he lived and played in a small tavern in Sitges near Barcelona owned by David Lindell, a former mercenary. Together they composed Zevon's classic "Roland the Headless Thompson Gunner". By September 1975, Zevon had returned to Los Angeles, where he roomed with then-unknown Stevie Nicks and Lindsey Buckingham. There, he collaborated with Jackson Browne, who during 1976 would produce and promote Zevon's self-titled major-company debut. Contributors to this album included Nicks, Buckingham, Mick Fleetwood, John McVie, members of the Eagles, Linda Ronstadt, and Bonnie Raitt. Ronstadt elected to record many of his songs, including "Hasten Down the Wind," "Carmelita", "Poor Poor Pitiful Me", and "Mohammed's Radio." Zevon's first tour during 1977 included guest appearances in the middle of Jackson Browne concerts, one of which is documented on a widely circulated bootleg recording of a Dutch radio program under the title The Offender meets the Pretender. During 1978, Zevon released his first major album, Excitable Boy (produced by Jackson Browne and guitarist Waddy Wachtel), to critical acclaim and popular success. The title tune (about a juvenile sociopath's murderous prom night) name-checked "Little Susie", the heroine of former employers the Everly Brothers' tune "Wake Up Little Susie", while songs such as "Roland the Headless Thompson Gunner" and "Lawyers, Guns and Money" used deadpan humor to wed geopolitical subtexts to hard-boiled narratives. Tracks from this album received heavy FM airplay and the single release "Werewolves of London", which featured Mick Fleetwood and John McVie, was a relatively lighthearted version of Zevon's signature macabre outlook and a Top 30 success. Rolling Stone called the album one of the most significant releases of the 1970s and placed Zevon alongside Neil Young, Jackson Browne, and Bruce Springsteen as one of the four most important new artists to become well known during the decade. In 1983, the recently divorced Zevon became engaged to Philadelphia DJ Anita Gevinson and moved to the East Coast. After the disappointing reception for The Envoy, Zevon's distributor Asylum Records ended their business relationship, which Zevon discovered only when he read about it in the Random Notes gossip column of Rolling Stone. The trauma allegedly caused him to relapse into serious alcoholism and he voluntarily checked himself into an unnamed rehab clinic somewhere in Minnesota in 1984. 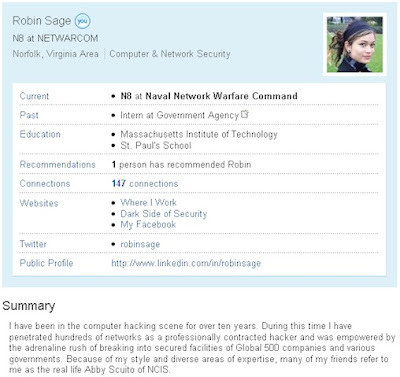 His relationship with Gevinson ended shortly thereafter. Zevon retreated from the music business for several years, during which he finally overcame severe alcohol and drug addictions. A lifelong fan of "hard-boiled" fiction, Zevon was friendly with several well known writers who also collaborated on his songwriting during this period, including Thompson, Carl Hiaasen and Mitch Albom. Zevon also served as musical coordinator and occasional guitarist for an ad-hoc rock music group called the Rock Bottom Remainders, a collection of writers performing rock and roll standards at book fairs and other events. This group included Stephen King, Dave Barry, Matt Groening and Amy Tan, among other popular writers, and it has continued to perform one benefit concert per year since Zevon's death. An affiliated project for which Zevon both played and wrote liner notes is the offbeat 1998 album Stranger Than Fiction, a two CD set attributed to the Wrockers containing rock covers and originals by many of the Remainders authors plus such notables as Norman Mailer and Maya Angelou. After another five-year layoff, Zevon signed with industry veteran Danny Goldberg's Artemis Records and again rebounded with the mortality-themed 2000 release Life'll Kill Ya, containing the hymn-like "Don't Let Us Get Sick" and an austere version of Steve Winwood's 1980s success "Back in the High Life Again". With record sales reasonably brisk and adulatory music critics giving Zevon his best notices since Excitable Boy, Life'll Kill Ya is seen as his second comeback. He followed with 2002's My Ride's Here (with morbid prescience of things to come), which included "Hit Somebody! (The Hockey Song)" (which was co-written by Tuesdays with Morrie author Mitch Albom, and featured Paul Shaffer, the "Late Night" band and a spoken guest vocal from TV host David Letterman) and the ballad "Genius", later taken as the title for a 2002 Zevon anthology, and a song whose string section illustrates the lasting influence of Stravinsky on Zevon's work. At about this time, he and his neighbor actor Billy Bob Thornton formed a close friendship because of their common experiences with obsessive-compulsive disorder and the fact they lived in the same apartment complex. During interviews, Zevon described a lifelong phobia of doctors and said he seldom received medical assessment. Shortly before playing at the Edmonton Folk Music Festival in 2002, he started feeling dizzy and developed a chronic cough. After a long period of untreated illness and pain, Zevon was encouraged by his dentist to see a physician; when he did so he was diagnosed with inoperable mesothelioma (a form of cancer associated with exposure to asbestos). Refusing treatments he believed might incapacitate him, Zevon instead began recording his final album. The album, The Wind, includes guest appearances by close friends including Bruce Springsteen, Don Henley, Jackson Browne, Timothy B. Schmit, Joe Walsh, David Lindley, Billy Bob Thornton, Emmylou Harris, Tom Petty, Dwight Yoakam, and others. It has been said that the decision to include "Knockin' on Heaven's Door" was his, much to the dismay of the others in the project, and his recording performance reduced the studio to tears; one part happy, one part sad. At the request of the music television channel VH1, documentarian Nick Read was given access to the sessions; his cameras documented a man who retained his mordant sense of humor, even as his health was deteriorating over time. On October 30, 2002, Zevon was featured on the Late Show with David Letterman as the only guest for the entire hour. The band played "I'll Sleep When I'm Dead" as his introduction. Zevon performed several songs and spoke at length about his illness. Zevon was a frequent guest and occasional substitute bandleader on Letterman's television shows since Late Night first broadcast during 1982. He noted, "I may have made a tactical error in not going to a physician for 20 years." It was during this broadcast that, when asked by Letterman if he knew something more about life and death now, he first offered his oft-quoted insight on dying: "Enjoy every sandwich." He also took time to thank Letterman for his years of help, calling him "the best friend my music's ever had". For his final song of the evening, and his final public performance, Zevon performed "Roland the Headless Thompson Gunner" at Letterman's request. In the green room after the show, Zevon presented Letterman with the guitar that he always used on the show, with a single request: "Here, I want you to have this, take good care of it." Warren Zevon died on September 7, 2003, aged 56, at his home in Los Angeles, California. The Wind was certified gold by the RIAA during December 2003 and Zevon received five posthumous Grammy nominations, including Song Of The Year for the ballad "Keep Me In Your Heart". The Wind won two Grammys, with the album itself receiving the award for Best Contemporary Folk Album, while "Disorder in the House", Zevon's duet with Bruce Springsteen, was awarded Best Rock Performance by a Duo or Group With Vocal. These posthumous awards were the first Grammys of Zevon's more than 30-year career. This was not an exercise in name-dropping, Warren Zevon was that influential and respected in the American Music scene. I love his music although not necessarily his politics, "Roland the Headless Thompson Gunner" being an example that I choose not to sing along with. for more on this video take a trip to Harry's Place. An important list to peruse and it's in two parts. 'Israeli air strikes on the Gaza Strip have killed a Hamas fighter and wounded several other people, reports say. Missiles struck central Gaza and Gaza City late on Friday; tunnels on the strip's southern border were also hit. The strikes came after a rocket fired from the coastal enclave by militants earlier on Friday hit the Israeli city of Ashkelon on the Mediterranean coast. The BBC where Israel is always at fault. 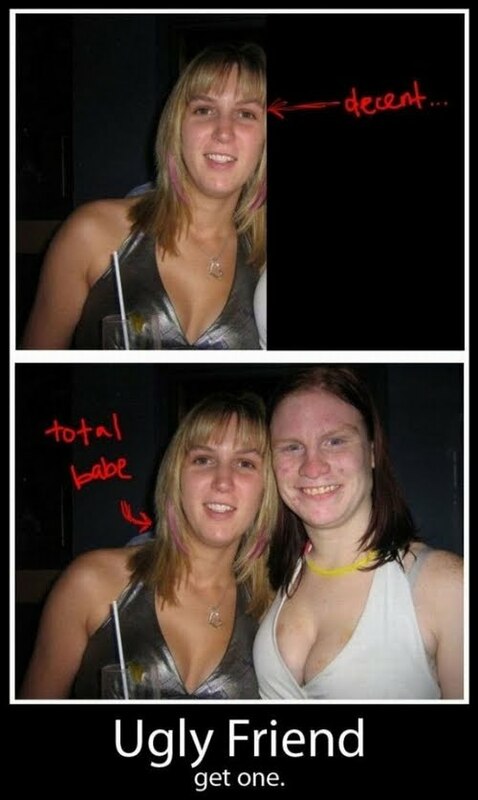 What do you get if you cross a Zebra with a Donkey? A Dedonk as it has a zebra father and donkey mother, if it had been the other way around it would have been a Debra! Merlene Ottey is competing for Slovenia in the 200 metres at the European Athletics Championships in Barcelona at the age of 50 and in a BBC interview saying that she has no retirement plans! An incredible woman and a great competitor. As this blog sinks down the monthly Wikio Political Blogging charts, I notice that it is time for Total Politics's blog poll for 2010. It was the surprise appearance of this blog in Iain Dale's 2007 political blogging list, after just a few months of my blogging, that gave me the impetus to take blogging more seriously/waste more time writing instead of working. The Dresden Dolls - "Science fiction (double feature)"
A duo who really get The Rocky Horror (Picture) Show. Today is 20 years since Graham Gooch scored 333 in a test innings against India, thus explaining Mrs NotaSheep's use of £333 as a measure of monetary value: £333 equals a Gooch. The BBC are most concerned that David Cameron is being friendlier to the multi-cultural democracy that is India rather than the Islamic Republic of Pakistan. I wonder if they will therefore report the Pew attitude survey as reported in the New English Review which reveals that 85% of Pakistanis believe in the segregation of men and women in the workplace, 82% in the stoning of adulterers, 82% in whippings or the cutting off of hands for theft or robbery and most shocking of all 76% believe in the death penalty for people who leave Islam. Any chance of the BBC reporting this survey's results? Why are so many 'activists' so anti contact between the future neighbouring countries of Israel & Palestine? More at Harry's Place and Jeffrey Goldberg in The Atlantic. The Boycott Divestment Sanctions (BDS) movement like many in the anti-Israel movement is not about peace in the Middle East or freedom for the Palestinans it's about the elimination of Israel as an entity and replacing it with a Palestinain state. What amazes me is that so many people ignore what people like the BDS activists quoted in the video and Palestinian leaders say and pretend that all that the Palestinian people want is to live in peace alongside Israel. An interesting BBC article about 'The women who choose not to be mothers'. Take a read of it and the published comments underneath. 'For the staff of the Delhi Metro this means brushing up on their English language skills and being trained to replace their local, Indian accents with clipped, British ones. None of the students in the class are native speakers of English and the emphasis is on making sure they speak the language with the right pronunciation. Ms Gupta is from the Delhi-based British Academy for English Language and has been doing this for 17 years - teaching English language to those not familiar with it. "The trainees who are here come from states like Uttar Pradesh, Bihar, Madhya Pradesh, Haryana, Punjab and have a strong regional accent," Ms Gupta explains. Quite right to and a matter of pride to those being tutored but if a company tried to run a scheme like this in the UK, how long before they were called racist by the BBC? But the bigger point is that Indians like the British and want closer links but the last Labour government and their propaganda arm the BBC were obsessed with relations with India's old enemy Pakistan. To the BBC is the Islamic side of any argument automatically the one to be supported? Over the past few days the BBC's submission to Islam (pun intended) has been even more apparent than usual. First there was the Wikileaks story in the reporting of which the BBC concentrated on the charges being made against NATO forces but only reported the equally valid claims that elements in the Pakistan regime were supporting the Taliban alongside Pakistani denials. Then there was the reporting of David Cameron's trip to Pakistan and India. The BBC seemed angry that David Cameron felt able to criticise Pakistani government action (or lack of) on terrorism whilst be complimentary about India's democratic credentials; the BBC want the two nations to be treated equally but they are not equal - one is, by government design or not, a haven for Islamic terrorists, the other a vibrant democracy and frequent victim of Islamic terrorism. Finally there was the way the BBC reported the claims and counter-claims regarding Islamophobia on the buses. The initial report reported as fact the claims of the two Muslim young women whilst the latter report on the Bus Company's findings from their CCTV coverage reported both the Bus Company's findings as of no more worth than that of the unsubstantiated claims of the young women. Please compare the two reports here and here and read my original report here to see how tardy the BBC were in reporting the Bus Company's side of the story. 'I can report that in terms of its appearance and facilities, Deheishe isn’t all that different from Damascus. The very term ‘refugee camp’ is a bit of a misnomer – it conjures images of tent dwellings, a lack of basic infrastructure, no luxuries, and abject poverty. In actual fact, people live in regular apartments, there is no shortage of essential supplies such as food and clean running water, and luxuries abound. The family I stayed with had state-of-the-art mobile phones, a television in every room, satellite television, a computer, the internet, more than enough food, and wardrobes brimming with clothes. You can read more of Rhiannon Stacey's report on her trip to work for a month volunteering at Karama, a children’s charity in the West Bank, in the Palestinian 'refugee camp' of Deheishe here. I wonder if the BBC or David Cameron have read this piece, or would it be against their certainties about life for ordinary Palestinians? News that during his trip to India David Cameron was asked if Britain would return the Koh-i-noor diamond does not surprise me. When I visited the Taj Mahal and was shown the tombs I was shown where the Koh-i-noor would have sat and personally blamed for the empty space where it should have been sitting. It was a good-hearted blaming, I think, but blame nonetheless! 'There have been calls for a ban on NHS surgeons carrying out the operations for women wanting to marry as virgins. But a Department of Health spokeswoman insisted that hymen repair operations only take place on the NHS to ensure a patient's 'physical or psychological health'. She said: 'The NHS does not fund hymen repair operations for cultural reasons. All operations on the NHS are on the basis of clinical need. I'd like to know what the cultural background is of doctors who deem there to be 'clinical need' for hymen reconstruction surgery, because I cannot envisage there ever to be a 'clinical need'; van you? I find this 'fashion' offensive and strangely annoying but I do worry that this decision is just the thin end of the 'wedgie'. Sorry but I quite liked that pun! I see that the new Zil lanes for the 2012 Olympics are to be enforced by £200 fines for transgressors. Yes Londoners who are, and will for years, paying the lions share of the 2012 London Olympics costs will be banned from using parts of London's already over-crowded roads. The Olympic lanes will cross some of the most congested areas of London and are aimed at facilitating the speedy movement of athletes, International Olympic Committee members, Olympic sponsors and the media. Included roads are the main arterial road from Central London to Docklands and the heavily used Embankment. The restrictions will apply from 6am to midnight every day of the Games and on a smaller scale during the Paralympics. 6am to midnight, so that'll be easy to work around! We are also told that there are also venue specific routes on which restrictions will ONLY during the days of competition relating to those venues and then ONLY between 7am and 4pm or 7am and 7pm. The special lanes will total nearly 60 miles and the extra restrictions such as closing side roads, banning turns and altering traffic light sequences, will comprise more than 100 miles in London and around 170 miles outside London. "We have been working closely with our partners to take our operational planning to the next level and will continue to consult with Londoners on the plans. Where Games Lanes are required there will inevitably be some temporary disruption to everyday life, but we must give athletes the best chance to train and compete effectively. That means ensuring they get to their events on time and minimising the time they spend travelling." What about the people paying for the event and needing to get to work? Do we get three weeks paid holiday? No we don't so we have to work and we need to travel. There are going to be a lot of very angry Londoners in two years time. "These plans strike an appropriate balance between the demands of hosting this unique event and the day-to-day needs of residents and businesses." I see no evidence for this 'balance'. You can see the map of the affected roads here. 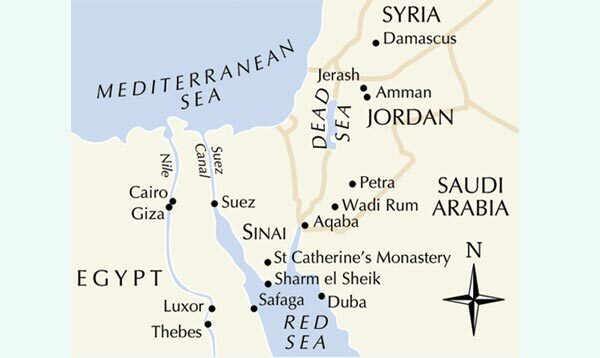 The above is the map taken from Noble Caledonia's tour by land and sea described as 'FROM THE NILE TO DAMASCUS'. Can you spot what country doesn't warrant a mention on the map? Yes Israel, why? Britain stood alone did we? What about the Poles and American Eagle squadrons? What about the soldiers from Australia, Canada, India, New Zealand etc. fighting for the Commonwealth? 'The Mossad, or 'Institute of Special Tasks', is one of the most feared and fabled security services in the world. It has been lauded for daring operations and accused of cold-blooded murder. It is widely thought to have been behind the assassination of a leading member of the group Hamas earlier this year. The delegitimising of the State of Israel continues apace on the BBC. I wonder if the BBC will report this piece of actual anti-Semitic violence in London or will they continue to just worry about imagined Islamophobia? Will the BBC update their news report and the MCB make another comment? 'The students, both 22 and from Slough, Berkshire, boarded a Metroline bus from Russell Square to Paddington, London. But they said when they presented their tickets on Monday, the driver told them they were a "threat" to passengers and ordered them off the bus. Yasmin said at first she boarded the bus by mistake when it was not in service to ask where it was going, but was told by the driver to get off. "About 10 minutes later... the passengers started getting on. When I went forward to show my ticket he said, 'Get off the bus'. I presumed he was still angry because I got on the bus before. 'A spokesperson from the Muslim Council of Britain (MCB) said it could not comment on individual cases, but added it was "deeply concerned". "Such incidents are sadly becoming more common," the spokesperson said. "They have been fuelled against the climate of increasing anti-Muslim rhetoric and hostility, in particular on the part of sensationalised stories by the media, demonising Muslims in the eyes of the wider public." 'A bus driver accused by two students of banning them because of their Islamic dress has been cleared after CCTV showed he had actually barred them for their abusive behaviour. An investigation by Metroline - which operates the No7 bus - found the driver, who could have faced the sack over the allegation, was justified in not allowing the women on his vehicle. But the Standard has learned that the students, who asked for their full names not to be revealed, were denied entry "due to abusive behaviour towards bus driver and other passengers". On-board CCTV of the incident, on Monday last week, showed the women banging on the front doors and attempting to board the bus when it had come to the end of its run. They then get on through the rear doors and begin arguing with the driver. They get off and wait for the bus to start its journey back to Paddington - but another exchange follows, and the driver refuses to set off unless they disembark. Thanks for 'Pounce' on the Biased-BBC comments board for spotting this update to a news story that the BBC just loved to report the allegations of but not to update with the truth. Would you fall out with Darth Vader? "It is as much psychological and social a phenomenon... they look for comfortable lies...and alleviate the guilt they feel"
The video comes from an excellent Joanne Nova article with lots of interesting news on people leaving the Man Made Climate Change bandwagon. Read more at All Pain No Gain and of course at Joanne Nova. 500 British girls a year! It is estimated that 500 British girls are the victims of female genital mutilation every year, mostly in the long summer holidays on trips back to 'see relatives'. But also that 'cutters' are been flown into Britain to cut British girls here, 'in batches'. Female Genital Mutilation is abuse Ain't multiculturalism grand? Thanks to The Guardian and Creeping Sharia. I think I have posted this video before but it is well worth watching and passing on to those who think Israel 'stole' Palestinian land. Please note that there is a Palestinian homeland, it's called Jordan and sits on 80% of the land promised to Israel in the Balfour Declaration of 1917 but given away to form Jordan in 1922. Aid to the Palestinians, what is it spent on? Diane Abbott 33 MPs 2 TUs 20 CLPs 1 SSs 0 MEPs - Out first or second? Most votes to transfer to the two Eds? Ed Balls 33 MPs 1 TUs 17 CLPs 0 SSs 0 MEPs - Out third but which Miliband will give him the best promise in return for his endorsement? Or would they prefer to avoid the endorsement of Gordon 'Jonah' Brown's protoge? Andy Burnham 33 MPs 0 TUs 44 CLPs 1 SSs 1 MEPs - Out first or second? Votes to split how? Ed Miliband 63 MPs 6 TUs 151 CLPs 3 SSs 6 MEPs - Advancing on David Miliband and certainly the one with the momentum. I am still confused by his repudiation of so many of the Labour party's recent policies bearing in mind he helped author the manifesto. I wonder if this will change the BBC's view of Oliver Stone? 'Director Oliver Stone has been forced to apologise over a ‘Mel Gibson-style’ rant against Jews. Having endured listening to Mark Kermode's nausea inducing creeping interview with Oliver Stone about his new film love-in with various left-wing South American tyrants, I now wonder if the revelations about Oliver Stone's political views will make any difference to Mark Kermode's feelings - somehow I doubt it. So David Cameron is 'angry' is he? I see that David Cameron is 'angry' at the slow pace of negotiations to give EU membership to Turkey. David Cameron is 'angry' is he. Well I am angry too, very angry. But what I'm angry about is the way that this Conservative lead coalition seems to be behaving not much better than the last Labour government. EU police are to be allowed to operate on UK soil, misguided liberal views on prison sentencing are being continued with, there will be no EU referendum, idiotic 'warmist' policies are to be continued with in the area of power generation etc. etc. etc. On Turkey I see that David Cameron is happy to praise Turkey for its former good works whilst its current lurch towards Islamism is ignored. And of course David Cameron gives the BBC and others a perfect sound-bite by describing Gaza as a 'prison camp'. Thanks to Theo Spark for the video of my favourite plane. 'Leaders of the international Rock'n'Roll community voiced their outrage today over the news that one of their own, who they always thought was a dependable degenerate extraordinaire, turned out to be a double agent, possibly working for the Reactionary Conservative Cabal Internationale. Effective immediately, all Sir Elton's entitlements, privileges, and invitations are being revoked, according to a high-level source in the Rock'n'Roll Code of Compliance Enforcement Bureau. "It is a necessary disciplinary measure and a dire warning to potential violators of established protocols among the otherwise unanimous and compliant Rock'n'Roll community," the source said. All Elton John's regalia and his designated role of "flamboyant gay activist" are expected to be reassigned to a more deserving miscreant as soon as the Rock'n'Roll Community Board finds a replacement. Remember it's only satire if it is believable! Yes why not blame the goat? 'The Obama administration, already under fire for unprecedented allegations of racial bias, faces a new bias claim from a most unlikely source: one of the administration's own inspectors general. Welcome to affirmative-action/discriminatory USA. Barack Obama and The New Black Panthers, two sides of the same coin? I look forward to the BBC reporting on this story of discrimination in the USA... I think I may have a long wait. Lily as gorgeous as ever but Professor do pull up your trousers old chap! 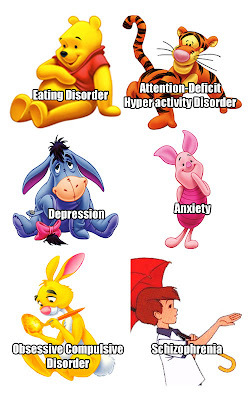 Are all the Winnie the Pooh characters suffering from psychological problems? 'The .co domain has arrived! Colossal new domain extension .co has just become available. The country code for Colombia, .co is also a great choice for company, commerce or community websites. OK who thought that associating 'Colombia' with the expression 'sky high' was a good idea? Capt. Brian Bews, practising on Friday in a CF-18 Hornet jet over Lethbridge County Airport for an international air show when things go wrong... Capt. Bews survived pretty much unscathed but I think the plane was a write-off. 'Every Sunday evening, between 1975 and 1978, we would sit in front of the new colour telly with our parents, watching The Good Life and waiting patiently for the magical moment when Barbara Good - played by Felicity Kendal - would appear in all of her organic glory, dressed in jeans, a man's shirt and a pair of dirty Wellington boots. If we were really lucky, Miss Kendal would also be holding a pitchfork. Or trying to jump-start a lawn mower. Apparently 'Sugarman was informed afterwards that the reason he was deboarded as because the flight attendant thought he said “Are there any police on this flight?”' Hmmm seems like a over-reaction form a maybe tetchy air-stewardess to me. 'Three teenagers have been found guilty of subjecting a young woman with learning difficulties to three days of sadistic physical and sexual torture. Darren Hodgkinson, 18, and girls Chelsea Mills, 16, and Chelsea Williams, 14, bruised their victim so severely that people thought she was black. Nail varnish and cream were rubbed into the woman's hair, which was then shaved off along with her eyebrows. If the crimes were that serious why the short sentences? 5. The Mail reports the possible ending of the tyranny of the speed camera - about bloody time too. But I will wait and see before I get too excited, there are too many lefty councils who love to milk and punish the motorist. Home Office on behalf of a Labour Party donor’s immigrant wife who is living in Britain unlawfully. The Leader of the Opposition was forced to deny furiously any impropriety over the wife of Monday Osaseri, a Nigerian-born businessman who donated money at a pre-Election fundraiser in Ms Harman’s Peckham constituency. Just days later, in April, he emailed her Commons office to request a meeting to discuss his wife, who has been in the country unlawfully for more than six years. Within weeks, Ms Harman had emailed the Home Office to ask about the progress of her application for leave to stay in the UK. Last night, sources close to Ms ­Harman denied any connection between the donation and her request, insisting that the issues were dealt with by separate offices and in accordance with strict rules. 4. THe Telegraph have an article by the much missed PC David Copperfield, a former UK PC now serving in Canada, explaining why his new force is so much better – and cheaper – for the public. DO read the whole article, it most instructive and gives ammunition to those who know that 'front-line' services will not have to suffer to make 25% cuts. 7. The Mail report that 'Being kicked out of Number 10 was 'not bruising' says a cheerful (Gordon) Brown' - Shame! I was just watching the 1968 Oliver! and during "Consider Yourself", did I spy an uncredited Lionel Jeffries as one of the outside the tavern drinkers? 'An Islamic extremist who has described al-Qaeda as a "myth" and justified the killing of British troops in Iraq has been chosen as the main link between the Metropolitan Police and the Muslim community. 'Shortly after this newspaper contacted the Cabinet Office, a senior official disclosed that Mr Ali had been suspended for the remarks made on his personal internet blog. * Attacks moderate British Muslims as ‘self-serving vultures, feeding on the dead flesh of the Palestinians’. Last week Mr Ali wrote on the ‘Between the Lines’ site: ‘We are the Resistance. The Zionist terrorist state of Israel had only one aim, to destroy all semblance of resistance. We have yet to hear any condemnation from our government.’"
"Until his internet outburst, Mr Ali was regarded as a moderate Muslim who could help tackle Islamic fanaticism in Britain. The proceeds of a recent Civil Service Islamic Society annual dinner were passed to Interpal, a Palestinian charity that is banned by the US government – although not in the United Kingdom – due to allegations of links to terrorism. The dinner was attended by Labour MP Sadiq Khan and Peter Lewis, head of the Crown Prosecution Service. As well as being a career civil servant, Mr Ali has been a community activist for more than 20 years. He is also on the board of London CrimeStoppers and sits on the Metropolitan Police’s Strategic Stop & Search Committee and Police Use of Firearms Group. Mr Ali is a member of the Independent Police Complaints Commission’s Community Advisory Group and the Home Office’s Trust and Confidence Community Panel. There are few people with a higher profile within the ‘moderate’ Muslim community. He is a trustee of the East London Mosque & London Muslim Centre. He chairs the Muslim Council of Britain’s membership committee and is a member of its central working committee. He is also the vice-chairman of Canon Barnet School board of governors and chairman of the Saturday Islamic School board of governors. He has a wide network of friends, making him an influential figure as the Government tries to ‘engage’ with radical Islamic groups to prevent them turning to terrorism. Mr Ali’s friends on the Facebook website include former Guantanamo Bay inmate Moazzam Begg, Inayat Bunglawala of the Muslim Council of Britain, and journalist and Muslim convert Yvonne Ridley." A second thought is if such a leading 'moderate' Muslim as Azad Ali has been freely expressing such thoughts on the internet, what are the thoughts of other (maybe less moderate) Muslims in the organisations that Azad Ali played such a leading role in? 'Azad Ali was "punished" by being suspended on full pay for six months and is now back at work as if nothing had happened. Depressing, very depressing that the UK government/civil service are so blind that they cannot see what certain peoplke really stand for. As a side matter, whilst I expect no better from Ken Livingstone, maybe the Jewish Weekly News could ask Ed Miliband about his links with a supporter of the creation of an Islamic state under Sharia law in Europe and for aspects of Islamic terrorism the next time they decide to write a puff-piece about a JINO (Jewish In Name Only) Labour politician. 'Gordon Brown has used his first major speech since leaving office to say the future growth of the world economy is reliant upon the development of Africa. I admire much of what some countries in Africa are trying to achieve but to say that 'the future growth of the world economy is reliant upon the development of Africa.' is just not true; India and China are the engines for future global growth, Africa at best will play a small part. Getting rid of poverty in Africa would be a worthwhile moral crusade but transferring money from the poor of the West to the rich dictators and their cronies of Africa does not get rid of poverty. Before I listen to Gordon Brown say he wants to create wealth in Africa I would rather hear him apologise for the mess he made of the UK economy, now drowning in debt. 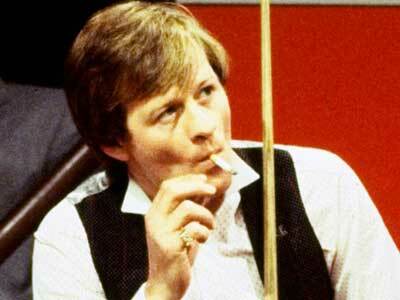 I see that my first snooker hero, Alex 'Hurricane' Higgins has died at the age of 61 after a long battle with throat cancer. One of the first snooker memories I have was him beating John Spencer in the 1972 World Snooker Championship in his first year as a professional. I remember him losing the 1976 final only to lose to Ray 'Dracula' Reardon. I also remember Higgins narrowly losing the World Final to one of the slowest players on the tour, Cliff Thorburn in 1980, when he looked favourite to win. But I can still picture him winning the title again two years later, beating Ray Reardon with a 135 total clearance in the final frame, The tears that flowed from him were an emotional moment for many not just him. Amanda Palmer and The Danger Ensemble perform Katy Perry's "I Kissed A Girl". Something tells me that Amanda Palmer may have seen The Rocky Horror Show/The Rocky Horror Picture Show a couple of times or more - the 'behind the sheet' trick! More Amanda Palmer at her site. Amanda Palmer - "Umbrella" - Be honest how often do you see the ukele playing in a rock/hip-hop crossover song? Womens Health have their 2010 Best Summer Bodies. Amongst the women so honoured, I see Courtney Cox at number 18, Cameron Diaz at 16, Jennifer Aniston at 9 and Brooklyn Decker at number 1. George Clooney and Brad Pitt I can understand but Bono?! What if an ant gets thirsty? An ant drinking from a drop of water, just an interesting piece of video. Thanks to BoingBoing for the spot. How reassured should we be about the Banks passing the EU stress tests? The BBC and others were keen to reassure us yesterday that all the major EU banks had passed the EU's stress tests. However should we be that reassured as the tests only involved evaluating possible losses on government bonds that the banks trade and not any that they are holding to maturity within the banking books. The trading books positions are marked to market whereas the banking book positions are accrual accounted. In a stressed situation if the banks need to liquidate such positions they may need to incur large losses to reflect the current market value. More importantly, if there is a default in any of the sovereign debts the banks will suffer significant losses and this may lead to more failures amongst the banks. As Andrea Williams of Royal London Management said: "It does undermine the whole credibility of the tests"; it certainly does. "if we let the system take over...the cigar-chomping Commies take over again. The cigar-chomping Commies are not going to take over on my watch." 'The paintings... I've put my Che Guevara portrait up there. I've noticed that. What is the point of that? Not very good security people are they and on what grounds do they bindle Peter Tatchell away? I am not a huge fan of Peter Tatchell but you can't doubt his bravery in confronting some very unpleasant people. From Southern Russia and oh so wrong. Now why might the numbers be increasing? 'Soaring numbers of young children are being diagnosed with special needs, including speech and behaviour problems, new figures show. Now why are the numbers so rapidly and massively increasing? Is it because more children are so affected or is it because children so diagnosed qualify for special funding for their school and their parents for extra allowances/credits and of course because there is an industry of therapists and 'experts' who need to justify their salaries. Yes I know that some children are genuinely affected by disorders such as ADHD but there are even more being diagnosed as such who ate just 'naughty', 'badly behaved' or just plain 'vile'. As this blog sinks down the monthly Wikio Political Blogging charts, all but breaking my heart as every months rankings are released, I notice that it is time for Total Politics's blog poll for 2010. It was the surprise appearance of this blog in Iain Dale's 2007 political blogging list, after just a few months of my blogging, that gave me the impetus to take blogging more seriously/waste more time writing instead of working. 'Maizie Williams said she was asked by the Palestinian organisers not to sing the group's 1978 hit, a song originally written in 1970 by the Jamaican reggae group, The Melodians. The song's chorus quotes from the Book of Psalms and refers to the exiled Jewish people's yearning to return to the land of Israel. Yes I am sure they do and it's rather obvious why they do. A Seat Leon has a bad one - thanks to Theo Spark for the spot. Oddest newspaper headline of the year? 'The cross-dressing man was caught with the animal in the dry moat of King Henry VIII's Pendennis Castle overlooking Falmouth Bay in Cornwall. I did enjoy this comment from a spokesman for English Heritage "This was a very rare incident"; yes I would think it was. I think that might be the wrong word! 'Iqbal’s lawyer, Chris Carr, told the court his client arrived in Australia about a year ago from Pakistan where he had grown up in a “very religious” Muslim family where contact with females outside his family was all but forbidden. 'kosher', 'KOSHER', 'KOSHER', somehow I think that might be the wrong word to associate with a follower of Islam, maybe he meant 'halal'! Will there be an investigation into this multiple beheading? Earlier this week I reported the calls for a young Gurkha to be court-martialled for cutting off and taking the head of a dead Taliban commander so it could be identified. It seems likely that unlike that Taliban commander these six policemen were killed by being decapitated, remember that the next time you hear of Islamic terrorists decrying the desecration of the human body by us infidels. Economical with the truth Mr Blair? Two products that are not natural bed-fellows! Has Ed Miliband got 'the big Mo'? Teresa May is a Sontaran? Something missing from this report? Ready for inflation? NS&I are. Has Apple's Steve Jobs become Darth Vader? The hell-hole that is Guantanamo Bay?